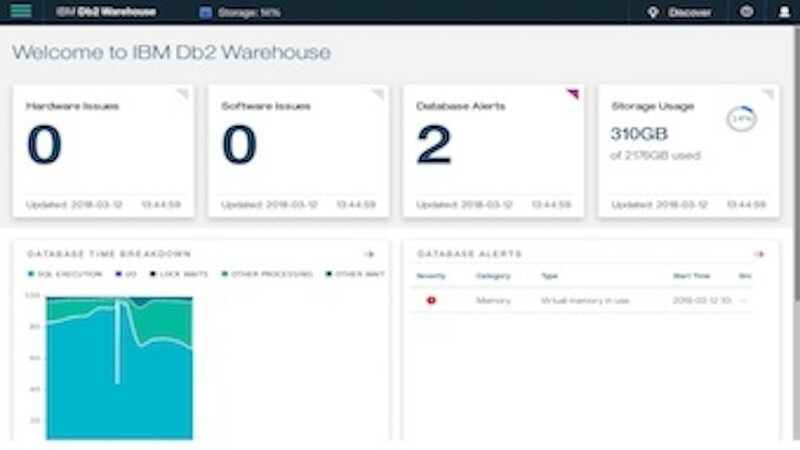 IBM Db2 Warehouse (formerly IBM dashDB Local) is a client-managed, private cloud data warehouse for Docker container supported infrastructures. Where can I find what's new around IBM Db2 Warehouse if I want to upgrade or new to the product in general? The current releases of IBM® Db2® Warehouse on Cloud, IBM Db2 Warehouse, and IBM Db2 on Cloud support the following new features and functions in the link below. Any changed or deprecated functions that require changes on the client side are also noted here. How do I set up IBM Db2 Warehouse? We provided instructions on how to deploy IBM Db2 Warehouse that we hope you find helpful. Is there a developer edition or free version for IBM Db2 Warehouse available? Yes, we work closely with developers and open source community as they are a huge part of our ecosystem. We encourage everyone to try out IBM Db2 Warehouse Developer Edition. It can be downloaded using the button on our webpage, or at the link below. Can I install IBM Db2 Warehouse on a single node or laptop? IBM Db2 Warehouse was designed with variety of personas in mind, including including developers, designers, analyst, data scientist and more. The simplicity of docker container allows the users to get started quickly on a Windows or Mac as well as a single node instance. Find more information below. How is IBM Db2 Warehouse licensed and how can it be monitored? IBM Db2 Warehouse is licensed by VPC (Virtual Processor Core). A VPC is a virtual processor core available to a Virtual Server Operating System or one VPC for each physical core of a non-partitioned physical server. One can easily manage and view the license usage within the Db2 Warehouse console. Does IBM offer stand-alone installation of Db2 Warehouse without having to pull the image from Docker Store? You can download the Developer Edition through the IBM website by clicking on the "Try Free Developer Edition" button, above. You can also work with your IBM Client representative or open a Support ticket to request access to the stand-alone image that we stage on a Box folder. What are the key benefits of using Db2 Warehouse? IBM Db2 Warehouse offers a unique opportunity to leverage an in-memory, Columnar database with MPP architecture across infrastructure of your choice. It’s deployed on variety of platforms including virtual private clouds such as AWS, Azure and more. What are the key pre-requisites for Db2 Warehouse? IBM Db2 Warehouse is very easy to deploy and all you need is a Docker client and a Clustered file system (such as GPFS, GFS2, VxFS) for storage. If you are using network attached storage, you can leverage the NFS protocol and don't need a separate clustered file system. Where can I get my questions answered by product experts? We have a forum on our IBM developerWorks community that you can join and post your questions to get them answered by top product experts of the Db2 Warehouse community. Have an idea or question you want to share around IBM Db2 Warehouse? We've got you covered. At our Request for Enhancement Community on IBM developerWorks, you have an opportunity to collaborate directly with the IBM product development teams and other product users. Help us improve IBM Db2 Warehouse. We want to hear from you. Where can I go if I have a usage error or support issue with my product? If you encounter a usage error or other support issue, you can use these troubleshooting and support resources below to help resolve the problem. What is the support policy and fix pack schedule? IBM Db2 Warehouse in on a continuous delivery model and we release updates on a monthly basis. It comprises of new features and bug fixes. We also conduct a "What's New" webinar at the beginning of the month and all users are welcome to join. You can find more information about the webinars below. Can one use Db2 Warehouse for production use to support petabyte scale data warehouse? IBM Db2 Warehouse is production grade, robust data warehouse to meet your development and enterprise production needs. It can easily grow from few TBs to petabytes in size. We have a Customer reference who is already using it in production. What are the key platforms where Db2 Warehouse is supported? IBM Db2 Warehouse is supported on any platform where Docker is supported. Currently, you can deploy it on x86, (Windows, Mac, Linux), Power Linux platform and Linux on Z. Where can I find the latest announcements and features for IBM Db2 Warehouse? You can access our blog community where our top product experts write about announcements, events, key features, and much more! Is there a Twitter handle I can follow for recent IBM Db2 news? Yes, in fact, we have a dedicated IBM Db2 Twitter handle where we will post about the latest announcements, events, webcasts, and assets we have out so be sure to follow us! Is there a LinkedIn community I can join around IBM Db2 Warehouse? Please join our IBM Analytics community where all of our IBM Db2 Warehouse news, updates, and thought leadership topics would reside. You can network with like-minded peers on this site, so take advantage of the opportunity. How can I migrate certain Netezza appliance workloads to Db2 Warehouse. What is the effort needed to do that? IBM Db2 Warehouse has in-built Netezza compatibility so the migration should be pretty seamless. We also provide a tool to check the overall compatibility readiness We have best in line Migration CoE that can assist with your needs and time line.